Product for patent shoe maintenance. Adds high gloss, cleans and increases resistance to cracking. The bottle features an application sponge and a safety feature against overdosing. 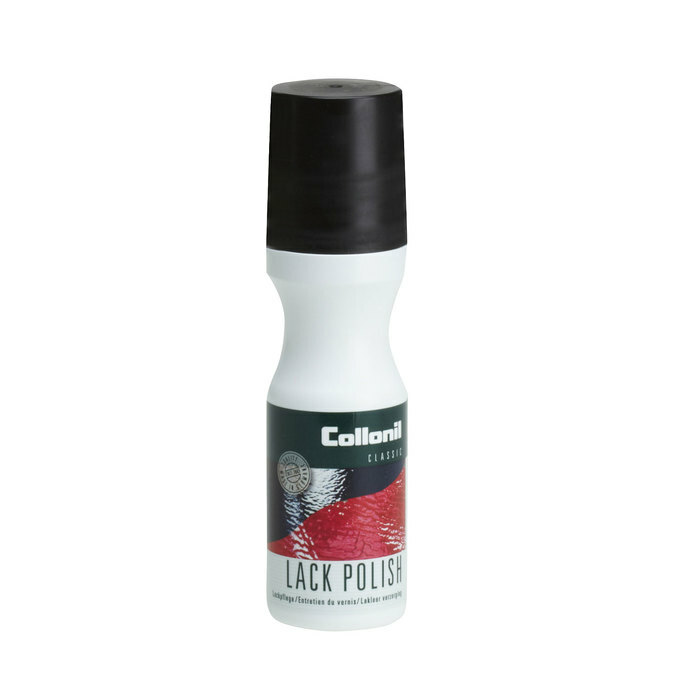 Apply evenly on your shoe and polish after drying.